The Sixth Circuit Court of Appeals has denied asylum to a Christian family that came to America to homeschool their children. In 2010, Memphis immigration judge Lawrence Burman granted the family asylum, stating that he believed the Romeike’s would face persecution for their faith if they returned to Germany. The Romeike’s were overjoyed at the ruling, which was achieved with the help of the Homeschool Legal Defense Association (HSLDA). However, the case was later appealed to the Sixth Circuit, and the Department of Justice argued before the court that homeschooling is not a fundamental right. On Tuesday, the court sided with the government, opining that forcing the Romeike’s to send their children to public school does not amount to persecution. “The United States has not opened its doors to every victim of unfair treatment, even treatment that our laws do not allow,” the three-judge panel asserted. HSLDA plans to appeal the decision. 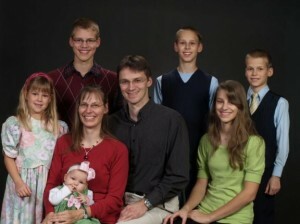 Mike Donnelly of the organization added that the court’s contention that homeschoolers are not persecuted in Germany was especially erroneous.